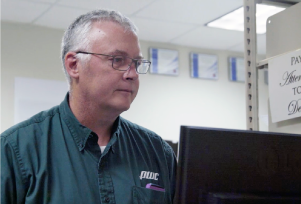 Professional Wireless Communications offers comprehensive digital wireless radio solutions for security teams of all sizes. Two-way radio offers wide-area communications coverage that allows your company the “one-to-many” communication that you just can’t get with cell phones. 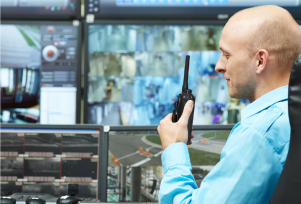 Whatever your security needs are, whether it’s wide-area coverage for many different users or as few as four or five security guards talking to each other and dispatch, our two-way radios are the way to go. Most security jobs that include wide-area coverage have learned that there are many more advantages to radio use over cell phones, both logistically and financially. With dispatch and everyone with a radio listening to each other, you get all the benefits of one-to-many communication. With all of your security personnel listening on the same dedicated line, you get the advantage of everyone’s expertise. “Hey, I was at that building last week, don’t go to the front gate, go around back.” It’s the one-to-many communication that makes two-way radios so effective. Security jobs and responsibilities can vary widely from company to company. One group may cover one large downtown building while another can cover apartment complexes spread throughout a city. PWC uses an in-depth, consultative approach to determine all of your communication needs and sets you up with the ideal two-way radio system for your business. Wide-area security jobs can be frustrating and time wasting without a proper communications system. When your workers are able to talk back-and-forth, everyone’s job becomes easier and more efficient. If something comes up during a night shift that needs checking in on, and all of your detail hears it, someone can jump on the radio and say, “I’m right in the area, I can take care of it.” Don’t waste time and energy calling everyone individually – one-to-many communication is available with two-way radio. Professional Wireless Communications understands how crucial effective lines of communication are in the security business. We pride ourselves on our customer service and attention to detail with every customer. We’ll educate you on every feature and function your radios are capable of, and we provide immediate two-way radio repair service should anything go wrong with our products. 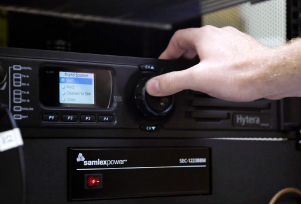 Servicing radios and making sure our customers are completely satisfied is a huge part of what we do. PWC understands that every security business is different, and that’s why we offer so many different products. Our service begins with a consultation period, where we assess what your communication needs are and figure out exactly what you want your radios to be able to do. The Hytera PD6i and PD7i Series are the most popular two-way radios in the security market. Both series offer an open-standard DMR radio rich in features for both voice and data communication. It is the ideal solution for organizations looking for an affordable migration from analog to digital technology. The PD6i is available in three different models offering custom tailoring to the needs of the user. Its heavy duty alloy frame is significantly more durable than other manufacturers plastic housings. In addition, it is waterproof, submersible to 3’.